A few weeks ago I received a DM from a photographer on Instagram. It was a short message asking how I could have so many thousands of followers on Instagram but why I am only getting a few hundred likes per photo. The intent was not innocuous. This photographer was trying to knock me down, find a flaw in my work or in my marketing. I admit I was curious as to who would send such a stupid message trying to pick a digital fight so I looked at his page. His work was actually good. Then I checked out his engagement. He was getting thousands of likes with only a few hundred followers. That seemed backwards. So I checked the likes he was getting. They were from clickfarm accounts. What is a clickfarm account? Fake accounts that like posts when you pay them to. Great way to look like you’re getting a lot of engagement when you’re actually not. Seriously?! Not only are you picking a stupid digital fight, but you don’t even have the legitimacy to back up your main argument? This is why, despite having good work, you’re not successful. What is the difference between this person and successful entrepreneurs, artists and change-markers? The latter focus on their work. The latter focus on who matters. The latter focus on shipping. If you want to be the former, caring more about trying to knock others down than doing the real work to grow your brand – then you will end up like this person. Talent is NOT enough. This person proved that. But that is not you. You do the work. In this episode of Beyond the Image, host James Patrick discusses the destructive thoughts and actions that creative entrepreneurs need to stop doing. The show covers a variety of items that asks listeners to make a commitment to never doing again. The intent is not only to help artists craft better careers for themselves, it is also to create better lives for us all! Be sure to subscribe for future episodes discussing how you develop your brand, market your brand and further profit from your brand as an artist! Episodes will feature interviews with creatives as well as clients themselves discussing what they look for when hiring artists. I am going to make some presumptions about who you are. If you are reading this, then you are someone who works hard but know there is a better path for you and that you deserve more for your effort. You are willing to do the work required, but perhaps you don’t know the specific steps to take to grow your business and your brand. You are someone who has passion, you have dedication, but you want guidance and mentorship. When we launched the Get Amped Mastermind is sold out in only 3 weeks (when we thought it would take 3 months). We learned how hungry you are to learn, to grow, to be held accountability and to get guidance on your journey to grow your career. Because of this… I created an entrepreneur and artist coaching and mentorship program for individuals like you! Individuals who are committed to growing a successful business and are ready for that extra edge! This is the program and guidance that I personally wanted in my own journey! We will dive deep into your brand and get into the granular details of your business so we can set goals that will challenge and motivate you. Our strategic planning may include marketing, sales and business development strategy, sales techniques, influencer status and promotion, perceived obstacles and barriers as well as developing the story of your brand. This process and newly formed collaboration will be guided by my own insights derived from two decades of experience in developing the strategies needed to properly envision your future and orient your actions to achieve extraordinary results. We are the artists of our own careers and we can adjust the canvas of our future through focused visioning, careful planning and purposeful action and accountability! Contact ME today to schedule a free consultation to see if I can be of service to you in your career journey! Just send me an e-mail on my site jamespatrick.com to get the process started! James and Jesse discuss his 15 year career at the publication, how artists are confronted with fear in their careers, the evolution of the publication, what makes a great photo editor, the status of the print industry and why he loves working with so many various artists at the magazine. From there Jesse gets granular on how he finds the various photographers he works with and specifically what he looks for in their portfolios. The two also discuss in detail the rebrand of Golf Magazine and his creative vision for the photography moving forward. In this episode of Beyond the Image, host James Patrick discusses the difference between good and bad competition. Specifically he addresses what makes a good competitor and why we should strive to compete against the best in our industry and contrasts that with the distractions that a bad competition can have upon our businesses. 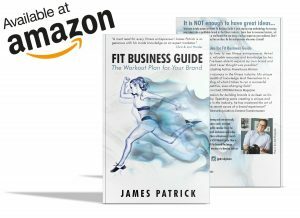 The James Patrick Photography and FITposium team have been white hot with pumping out career changing content. I wanted to key listeners into a few very important podcasts our team has recently released. Discussion on making 2019 your most successful year to date. In this episode of Beyond the Image, host James Patrick chats with ESPN The Magazine’s Director of photography, Karen Frank. James and Karen discuss the success of their careers and the backgrounds that got them to where they are today. Having a passion for painting and art as a child, Karen went on to study Fine Arts in school. Given the opportunity of working for a photo agency, she was tasked with selecting photos for certain projects and set a path forward. She worked with several publications before landing the position of Director of Photography with ESPN The Magazine. In addition, the two chat about working in the sports industry as creative professionals, what goals Karen hopes to pursue as she furthers her career and what creative professionals need to know should they ever want to pitch to and work with ESPN The Magazine. Within just a few minutes of meeting someone I can easily tell if someone is more likely to succeed or struggle in his or her career. Those who succeed possess a singular trait that those who struggle seem to lack. All the school, all the business books, all the podcasts and YouTube videos cannot give you curiosity. You have to be curious if you want to have more potential to grow your business. What does curiosity give you? The likelihood that you will ask questions, and not just any questions, the likelihood that you will ask the right questions. Curiosity, asking questions, is the key to the information that can scale a business or to the inspiration that can define a new direction to take. I cannot teach you how to be curious. I can only implore that you start asking more questions. In this episode of Beyond the Image, host James Patrick chats with fellow commercial photographer Ian Spanier about the development of his career and brand. Ian majored in photography in college and worked as a photo editor for a variety of publications in New York before he launched his own photo career. Self-taught as a photographer, he has gone on to work for clients including MTV, Comedy Central, HBO, Shape Magazine, Muscle & Fitness, Psychology Today, Oxygen Magazine, Time Inc. and more. In addition, Ian has grown into a speaker and educator sharing his technical and business insights with appearances at PPA, NY Photo Expo, Canon and B&H Photo. During this interview, James and Ian discuss the importance of learning the business side of photography, how to develop a visual identity as a creative professional and the importance of continuous brand development. When I look back over the last 20 years of my career trajectory there are numerous clusters of time where I did not advance, where things simply did not work out the way that I hoped they would. Contrast that to other times when things seemed to skyrocket even faster than I could keep up with. When I get granular and really explore the difference in action that causes these two opposite outcomes it comes down to something some frustratingly simple. When I don’t take action, things don’t work. When I stick with the status quo, things don’t work. When I don’t ask questions, things don’t work. When I don’t take calculated risks, things don’t work. Action is what overcomes obstacles. Bucking the status quo is what creates change. Asking questions is the key to growing. Taking calculated risks can lead to the biggest rewards. So you have two options in front of you. You can do what won’t work. Or… (you’ve already gotten started and are getting to work).